Yellow clematis is native to high mountain areas in India and China and was introduced to North America as an ornamental garden plant. 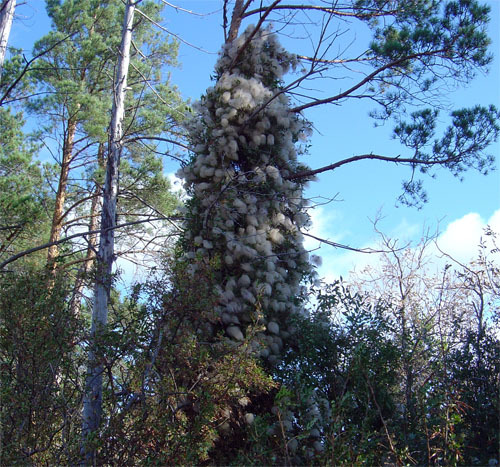 This climbing species can invade natural woodland areas by covering trees and bushes, weighing them down and damaging them. 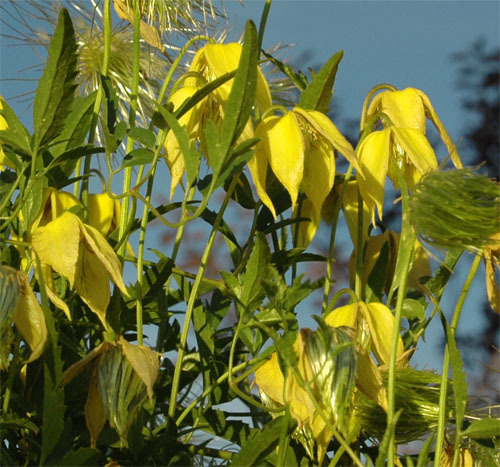 Yellow clematis is also known to smother and out-compete other vegetation. The 4-6 cm wide flowers of yellow clematis are bright yellow in colour and are often bell-shaped and drooping. 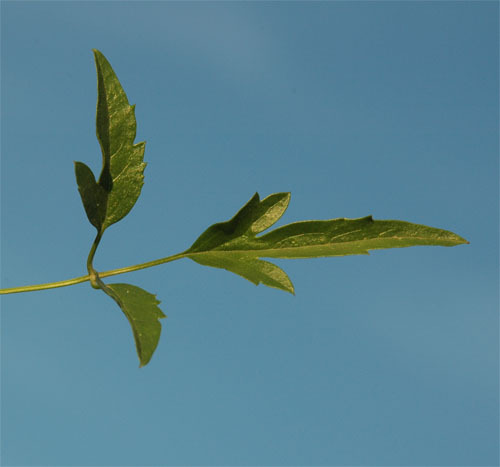 The leaves are deeply lobed or pinnate and have 3-5 leaflets. Each fruit has a long hairy plume and several fruits are clustered at the end of each stem, forming a white hairy ball typical to the species. 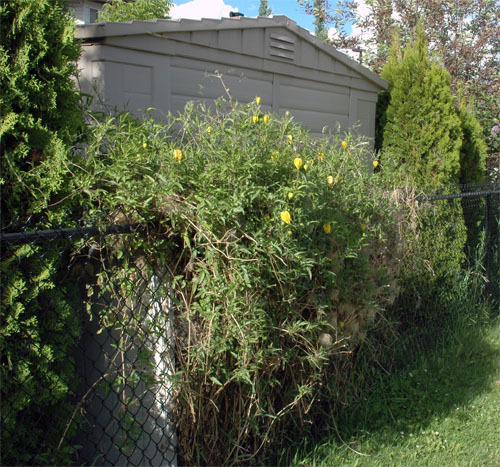 As a climber it grows on fences, posts, or other plants and can reach up to 4 m in height.